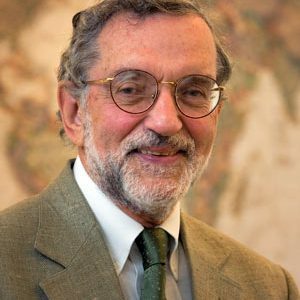 Ambassador Kenneth Yalowitz served as the US ambassador to Belarus between 1994 and 1997. He arrived in Belarus a few months after Alexander Lukashenka was elected president and witnessed Belarus sliding from a relative democracy into authoritarianism. Ambassador Yalowitz agreed to share his thoughts about what was going with Belarus in 1990s and the current situation. BD: You observed the transition of Belarus from democracy to authoritarian rule – how did it happen? When we arrived in Belarus in 1994 there was still some hope. Lukashenka was elected on an anti-corruption platform. Western observers initially felt that he might be someone to work with. He was an obscure member of the parliament but there was some optimism he might move in a progressive direction. Unfortunately, that was not the case. Over three years I saw the creation of a vertical parallel structure of political appointees from the regions up to the top responsibly directly to him. It reminded me of the Communist Party that exercised control through a parallel structure. Steps were taken against the independent press and independent newspapers. They were not completely choked off but they couldn't get newsprint or they had to publish outside of the country. One by one you saw the reduction in the free press and also control over the television and other media. It took time but eventually the parliament, which had an opposition, was in effect thrown out and replaced. There was some hope that a Russian delegation headed by Prime Minister Chernomyrdin, which came to help resolve the constitutional crisis, might intervene on the side of democracy and good governance. But it turned out they didn't. The Belarusian Constitutional Court buckled under the pressure, the old parliament was pushed off to the side, and Lukashenka's status reinforced. That was the most important signal of what was going on. In the economy there was almost a complete stoppage of market reforms. Basically the old economic system did not change much and there was very little foreign investment. Another tragic event was when the Belarusian army shot down an unarmed air balloon, which drifted into Belarusian air space. I believe two people were killed, an American and an Australian. What was even more inexplicable was the lack of an apology, expression of compassion for the lives lost or any compensation. For me and for a number of other people that was an unmistakable signal that Belarus moving in the wrong direction. There was no turning back. For instance, they closed down the Soros Foundation, and made false allegations against US embassy officers. Not long afterwards, I was recalled to Washington for consultations because of the accumulation of these events. It was then we decided to pursue the policy of selective engagement which meant working mainly with the grass roots, NGOs, local officials, etc., and only selectively with the top government officials. BD: Was it possible to prevent Belarus from sliding back to autocracy in 1990s? It is a great question. I have thought about it a great deal and have come to the conclusion that there was not much that could have been done. The people of Belarus were generally conservative and politically not well-informed. Lukashenka, very much a product of the Soviet system and who revered it, used his populist, demagogic, and anti-western approach with great success. There was not much the United States or Europe could have done. BD: What are the brightest memories of Belarus for you? When the Soviet Union broke up there were four states with nuclear weapons – Russia, Ukraine, Kazakhstan and Belarus. US policy was that there should be only one nuclear successor state to the USSR, Russia. Kazakhstan was the first to agree to send them back and that was a relatively easy case. It took much more time and bargaining for Ukraine to agree to the return of the weapons to Russia. Ukraine had many issues then with Russia including the disposition of the Black Sea Fleet and the Crimea. That left Belarus and it took still longer. Belarus did not control those weapons but they were on Belarusian territory. Both we and the Russians had many discussions with the Belarusians but Lukashenka at times indicated he wanted to keep them. It was an uncertain period. After a great deal of negotiation and discussion, he finally agreed that the weapons should go back. I remember being invited to a former Soviet rocket base in Belarus for the ceremony to return the rockets. I was there with the Belarusian defence minister and the Russian defence minister. I watched the missiles being loaded on a special train and stood next to the Russian minister when he gave the signal to the engineer to start the train to Russia. I remember well going back to the Embassy and calling the White House to give them the news. On a personal level, my wife and I loved to drive around Belarus, walk in the woods, and walk along the rivers. There were many favourite places we would like to go to. We really got to love the Belarusian countryside, the unspoiled nature, its lakes, forests and rivers. We enjoyed talking to local people as we walked around. BD: Have you been to Belarus since then? I have not been to Belarus since then. One of the former presidential candidates whom I know, Andrei Sannikov, is now sitting in jail. Andrei is a patriot and an excellent representative of Belarus, who served as deputy Foreign Minister. I wrote to the presiding judge over his trial to attest to his character, patriotism, loyalty and how he had been an effective representative of Belarus. This was to no avail. I saw him in New York several years ago after he had left the government. He asked me exactly the same question as you did. I said that as much as I would like to go back to Belarus, I would return only when there is a different approach to democracy and human rights. BD: How did you see the role of Russia at that transitional period? I once spoke to a high ranking Russian official in Belarus about that. I said Boris Yeltsin is pursuing democratic reforms in Russia, building a market economy and here Lukashenka is going the opposite way. And yet you support him. You support all these undemocratic measures, subsidise Belarus with cheap oil and in other ways. Why are you doing this, so contrary to the direction in which Russia is going? And he responded: "He is an SOB, but ours." My conclusion was that for Russia it was easier to support this openly pro-Russian politician despite his authoritarian policies. Security was their main concern. Belarus is at a strategically important location, the invasion route to Russia. Napoleon came through Belarus, the Nazis came through Belarus and so on. I also heard that Yeltsin viewed Lukashenka as a kind of wayward son who needed guidance and mentoring until he matured. I have concluded that Belarus will remain independent but closely linked to Russia. Now Russia has probably the best situation – they control the Belarusian economy in many ways and Lukashenka has less room politically for manoeuvring. And yet Belarus is still an independent country: they do not have to absorb the weaknesses of the Belarusian economy. I have no doubt that if Russia decides to remove Lukashenka they will be able to do it. But they have no one deemed trustworthy to replace him. Lukashenka is a man very indebted to Russia (and I mean literally indebted). BD: What is your stand on the current Western policy toward Belarus? Sanctions will not likely change the situation but they do emphatically demonstrate dissatisfaction with the authoritarian policies of Belarus and penalise its leadership. Belarus will not be integrated into Europe if things remain the same. But at the same time I am a strong believer in exchanges, in supporting higher education, supporting NGOs in Belarus. It is important to understand that under current circumstances this is going to take time. Many in Belarus would like to see things differently. At some point they will constitute a critical majority and say enough is enough. When I think about Belarus I have a sense of disappointment. Things are much the same as when I left in 1997, and perhaps worse. When I think of the opportunities lost for Belarus compared to Poland or the Baltic states, it is very sad. I served in Georgia as the US ambassador after Belarus and that country is different, though facing problems common to all former Soviet states. There is a strong sense of nationalism, the role of the Georgian Orthodox Church and religion is very important, and there is a deep attachment to the Georgian language and culture. For well known reasons, national identity is weaker in Belarus, as is the standing of the Belarusian language. To me, the cultural element, the Belarusian language and literature should definitely be supported in Belarus along with efforts to promote democracy and respect for human rights. It is important to have patience because Belarus has been cut off for so long. People are starting to realise the economic and political costs of Lukashenka's tenure in office but as long as the Russians continue to subsidise Belarus it will be hard. We can see that many key national assets had been sold off to Russia and the economy is not doing well. Lukashenka still is in charge but my view is that change will inevitably come. Belarusians are the most travel-restricted nation in Europe. 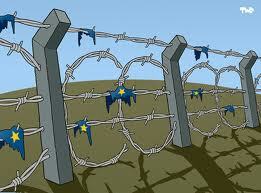 Both their own government and the European Union seem to be determined not to let them out. The Belarusian authorities prevent leading opposition activists, students and state bureaucrats from travelling to the neighbouring EU states. The European Union also restricts Belarusian citizens by keeping the most restrictive visa policy in Europe and blacklisting top Belarusian officials and businessmen. The malicious motivation of the Belarusian authorities is not surprising. Why the European Union keeps its visa rules so strict is much more difficult to understand. Following the last round of EU sanctions in February 2012, the Belarusian authorities banned over a dozen opposition activists from travelling to the EU. The authorities say that this is their response to EU sanctions. Perhaps they also hope that some activists will decide not to come back to Belarus to avoid future problems. The more political refugees abroad, the safer they feel at home. In the past Belarusian opposition activists could travel to the West via Russia. There is no border control between Belarus and Russia which makes it easy. But last week the head of the Russian Border Service pledged not to prevent Belarusian citizens blacklisted by their own government from leaving Russia. If this threat materialises, many activists would be kept within the borders of the so-called Union State of Belarus and Russia. Another group which the Belarusian authorities want to keep a close eye on is students. Full-time students can travel abroad during term periods only if they get permission. In the past, they had to seek permission from the Minister of Education. Now it is enough to secure permission at a university level. In the Soviet Union the harshness of laws was balanced by their non-compulsory nature. This is also true for Belarus today – most students can travel abroad without any problems and their universities know about it. However, the student travel ban can sometimes be used as a pretext to expel politically active students as it has been used to do so in the past. That was the case with politically active students Tatsiana Khoma in 2005 and Tatsiana Shaputska in 2009. A number of categories of state employees are unable to travel abroad without special permission. For instance, most officers of the Belarusian police or KGB have to seek permission from their superiors when they want to travel abroad. According to Moscow-based website Belaruski Partyzan, this April the Presidential Administration issued a new classified instruction in which senior officers of KGB and police were asked not to approve requests to travel abroad. It is was presented as a "temporary measure" but it did not specify how long it would last. Belarusian legislation also prohibits those who have access to "state secrets" from travelling abroad without special permission. In the era of the internet, this restriction seems obsolete but it still makes the lives of some people more complicated. Some Belarusian officials suffer not only from their own bosses but also from EU sanctions. In other words, they are under a dual travel ban. In February 2012, EU foreign ministers added 21 Belarusian citizens to their travel ban list, bringing the total number to more than 200 individuals. The list includes judges, prosecutors, senior police officers and those responsible for the falsification of elections. This year the EU also began adding the most influential businessmen who, in their view, support the Lukashenka regime. But some of the blacklisted officials can still travel to the European Union to attend official meetings of various international organisations. In January 2012 Minister of Interior Arkady Kuliashou travelled without any problems to attend an Interpol meeting in Lyon. In March the KGB chief Vadzim Zaitsev reportedly travelled to Rome as part of an official delegation. In any event, the restrictions discussed above affect only a limited number of people. The travel restrictions imposed by the EU on millions of Belarusian nationals are a much more serious problem. It often takes months for Belarusian citizens to get a visa for an EU country. This includes waiting for an appointment, preparing thick packages of documents, and spending many hours queuing outside the consulate regardless of the weather. The procedure is very expensive too – a simple visa costs €60 – the highest price in Europe. To put it into context, the average monthly salary in Belarus is around €270. What is worse, many consulates deliberately issue singly-entry visas valid for several days only. The German consulate is notorious for this. In practise this means that Belarusian nationals have to undergo this humiliating and expensive procedure again and again. No wonder that the pro-rata number of Schengen visas issued for Belarusians is the highest in the world. Consulates of EU countries in Belarus are overloaded with visa applicants who cannot get long-term visas. According to the Coalition for EU-Belarus Visa-Free Movement, EU regulations allow visas to be issued for a period of up to five years. One can understand why the Belarusian authorities want to keep their citizens locked inside the country. Lukashenka and other top officials are already on the EU travel ban list and have no desire to help their fellow citizens. In January 2012, the spokesman for the Belarusian Ministry of Foreign Affairs admitted that the main reason why visa prices were so high was because Belarus was unwilling to sign a visa facilitation agreement with the EU. It is more difficult to rationally explain why the EU treats Belarusian citizens so badly in terms of visas. Is this policy a useful tool to keep away potential illegal immigrants? No. Issuing short-term one-entry expensive visas does not help. Even a one-day visa would be enough to enable a potential illegal immigrant to stay in the host country. Is it a legal requirement to give visas only for several days? There is no such requirement. Each consulate is different in their treatment of Schengen visa applicants. For instance, Polish consulates often issue multiple entry visas for six or twelve months, while the German consulate in Minsk more often issues one-entry visas valid for a few days only. Perhaps consulates of EU countries are just interested in earning money by charging €60 for a little passport sticker? That sounds like a possible but immoral explanation. Belarusians already have one the lowest salaries in Europe. It is wrong to make those who already suffer from the most repressive political regime in the region to pay the highest visa fee in Europe. Time to Introduce "White Lists"
It is time for the European Union to adopt not only blacklists for "bad Belarusians" but also whitelists for "good Belarusians". The whitelisted categories of Belarusian nationals should be entitled to long-term, multiple-entry visas free of charge. These whitelists should go beyond the opposition leaders and include thousands of Belarusians: students, academics and teachers, political and human rights activists, those working for NGOs and various community initiatives. When Belarusians travel abroad, the benefits of democracy and market economy speak for themselves. These people would become the best advocates of European values in their own country. Rather than hoping for a quick regime change in Belarus, the West should patiently work to integrate rather than isolate Belarusian citizens from the rest of Europe. If Europe wants to have a stable and democratic neighbour tomorrow, it needs to plant the seeds of change today.